Do our stories define us or do WE define our stories? Each day, we’re given a gift — “the present.” So, how do we choose to use those 24 hours? Most of the time, we’re making judgements, aren’t we? Each day, our inner voice is talking to us, a mile a minute, saying positive or negative words that actually subconsciously affect our body. How does that inner voice make you feel? Your thoughts become feelings, which then affect your actions. I ask you to contemplate your feelings. They are your guide to your inner state. While challenges happen to all of us — WE get to decide our attitude. How are you affected by the opinions of others? Does someone else’s comments make your day or depress you? There’s a saying, “Your attitude affects your altitude.” It’s so true. You can go farther in life if your attitude is positive. So what do YOU choose to believe about yourself? Ultimately, the most important story is what YOU say about YOU! 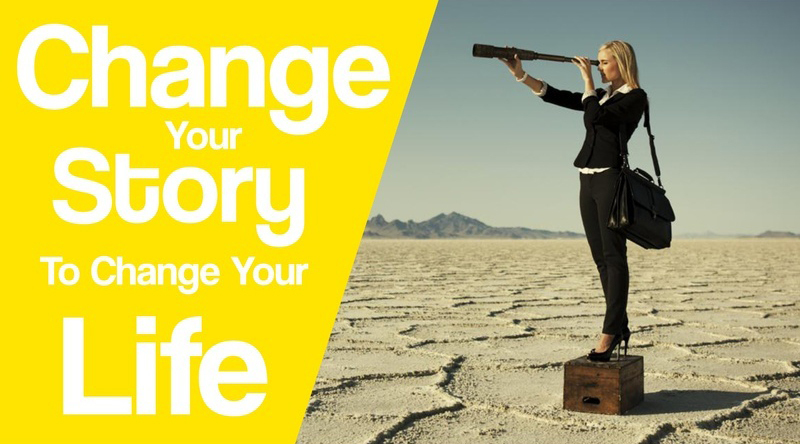 No matter what happens — You can change your story! Imagine your brain is like a giant computer. You’re about to reprogram your brain for success. First step: Be aware of what you tell yourself. Second step: Decide what you want to believe about yourself. 2. Create a dream board with pictures and statements of your dreams. Study this board every day, and envision your dreams coming true. 3. Practice meditation and writing gratitude statements in a journal. 5. Share your story and engage with potential followers by getting interviewed on a live streaming video program! What’s live streaming? It’s a LIVE, interactive interview, done from the comfort of your own computer. It’s fun, easy, and inexpensive. Best of all, you can IMMEDIATELY engage live with an audience from anywhere in the WORLD! Here’s my brand new interview as a guest on my friend Roland’s show, “The Saturday Morning Marketing Smarties.” You can watch, listen to my stories, and see how viewers from around the world commented back. The world needs to hear YOUR stories of inspiration. Believe in yourself and share them! To learn more, visit: http://www.DifferenceMakersMedia.com. For those who join our list, I’ll send my 7-Step Story Guide to help you become an expert storyteller to grow your business. Contact me about a free story marketing assessment and session at: Lynn@DifferenceMakersMedia.com. P.S. 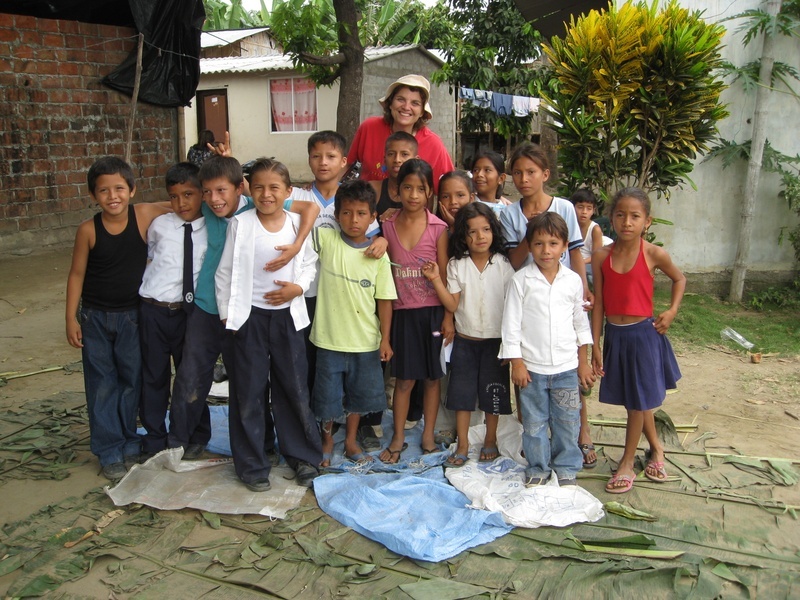 I’m sharing a special photo from my past… one of our healthcare visits to Ecuador, where I entertained the children in 90+ heat, while they waited for their first-ever dental exam. What an exhilarating experience to be around so many loving people! Previous Previous post: HOW DID YOU GET TO BE THE WAY YOU ARE?